Oil held gains above $68 a barrel on slowing American drilling and investor optimism after a breakthrough in a trade standoff between the US and Mexico. Futures in New York were little changed, following a 1.3% gain on Friday. Working oil rigs in the US declined by the most since May 2016 last week, according to Baker Hughes data released on Friday. Meanwhile, America and Mexico are poised to resolve their bilateral differences over the North American Free Trade Agreement as soon as Monday after breakthroughs on issues including automobiles and energy. 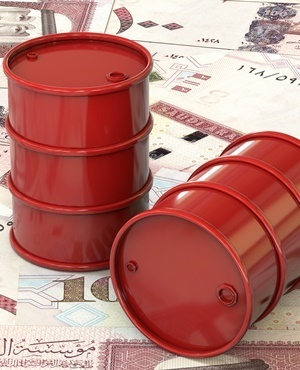 Crude has continued to trade below $70 this month as a trade war between the US and China, coupled with the threat of contagion from the Turkish currency crisis, has weighed on prices. Still, slowing American output growth and pipeline bottlenecks are adding to supply risks as President Donald Trump is set to impose sanctions on oil exports from Iran in early November at a time when stockpiles are shrinking. “Falling US rig counts and last week’s decline in US inventories are supporting oil prices amid a protracted US-China trade war that could dampen global growth and weigh on oil demand,” said Stephen Innes, head of trading for the Asia Pacific region at Oanda. West Texas Intermediate crude for October delivery traded at $68.58 a barrel on the New York Mercantile Exchange, down 14 cents, at 2:39 pm in Singapore. The contract rose 89c to $68.72 on Friday. Total volume traded was about 54% below the 100-day average. Brent for October settlement traded at $75.72 a barrel on the London-based ICE Futures Europe exchange, down 10c. Prices on Friday added 1.5% to $75.82. The global benchmark crude traded at $7.15 premium to WTI. In Shanghai, futures for September delivery fell 0.3% to 510.3 yuan a barrel after gaining 0.8% on Friday. Working oil rigs in the US dropped by nine to 860 last week, according to Baker Hughes. Bakken operators led the way with a cutback of four in North Dakota. Beyond the Bakken, explorers in the Permian Basin of West Texas and New Mexico were the only other operators to shrink activity, cutting machines by one to 485. That’s after nationwide stockpiles slid more than forecast in the week ended August 17. Meanwhile, the US and Mexico have been negotiating for a year to overhaul the 24-year-old Nafta at the insistence of Trump. He said Saturday on Twitter that his country could have a “ big Trade Agreement” with its southern neighbour soon. Companies operating across North America have worried that some of the US president’s demands could hurt the region’s economy. Back in 2015, Royal Dutch Shell and BP cast doubt over the future of aging oil fields offshore Norway. A crash in crude prices and high operating costs threatened to shut them early, leaving millions of barrels in the ground. Despite a pipeline pinch in America’s hottest shale play, signing up for future space to ship oil out of the Permian Basin is getting cheaper.